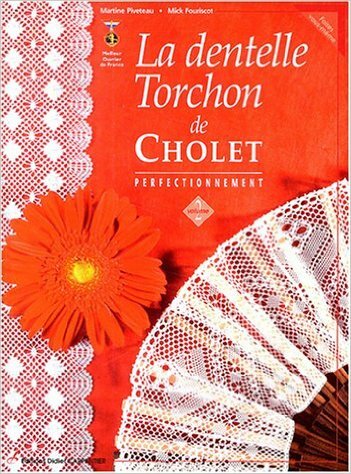 The pattern is from Martine Piveteau's La dentelle de Cholet: Perfectionnement Volume 2, Page 35. It is a torchon pattern with a fun gimp path and honeycomb rings. The little spiders are fun to do.